EAGAN, Minn. — The Vikings will play their third preseason game Friday night at 7 p.m. (CT) at U.S. Bank Stadium against the Seahawks, who happen to be Minnesota’s Week 14 opponent on ESPN’s Monday Night Football. While teams who play in the regular season don’t often meet in the preseason, it does happen from time to time. This is the third consecutive year Minnesota and Seattle have met in exhibition play, with the previous two meetings occurring in Seattle. 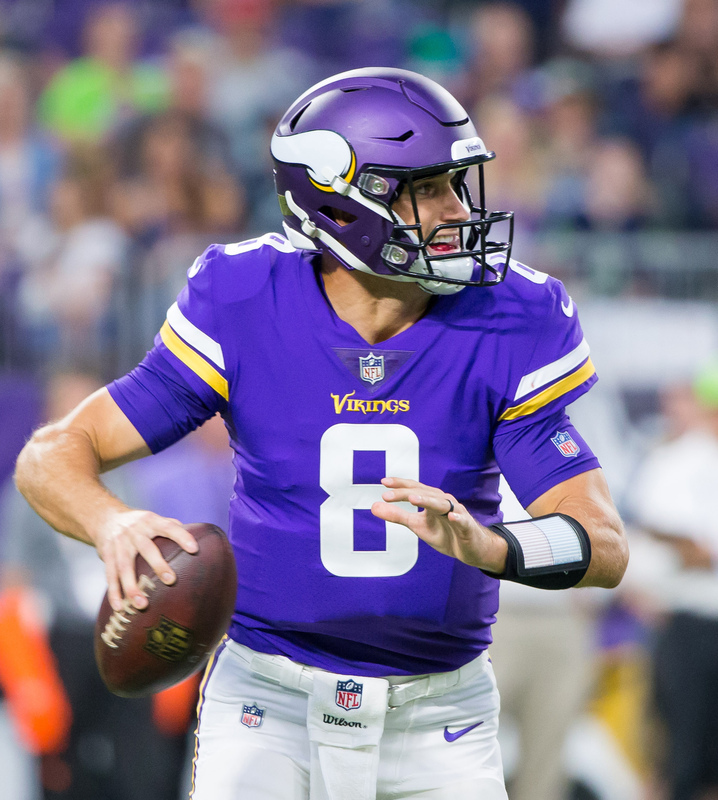 The Vikings have split their first two preseason contests of 2018. Minnesota went on the road and earned a 42-28 win in Denver, but fell 14-10 at home to the Jaguars on Saturday. The Seahawks have lost their first two preseason games. Seattle fell 19-17 at home to Indianapolis in Week 1 before losing 24-14 on the road against the Chargers on Saturday. The Vikings will finish up the preseason slate at Tennessee on Aug. 30. I suppose I should go to that week 14 game. Vikings running back Dalvin Cook said last week that he was 100 percent ready to play, but the team didn’t put him in the lineup for their last preseason game. Cook remains ready to roll and it appears the Vikings will be making a different call on Friday night. Pretty sure this is like the 4th time in 5 or 6 seasons they played Seattle in the preseason and in both seasons that they didn't, they met in the regular season and the other year in the playoffs. I could be off a year or two, but either way, they seem to play Seattle a lot. I really want to see him out there, but the other part of me is willing to be patient and wait until the regular season. I believe this is more precautionary than anything and that we'll be rewarded greatly (hopefully), in the reg. season. I was thinking about going up for that game. How tough is it to get single game tickets up there? Are they usually pretty pricey? Depends what you consider pricey. There's nothing under $100. Most 3rd level tickets will run you $150 a piece and anything 2nd level and below is at least $200+. It's not terribly difficult to get tickets, but all home games get sold out and this one being MNF, I'm sure that's why prices are what they are and will fill up the closer we get to December.